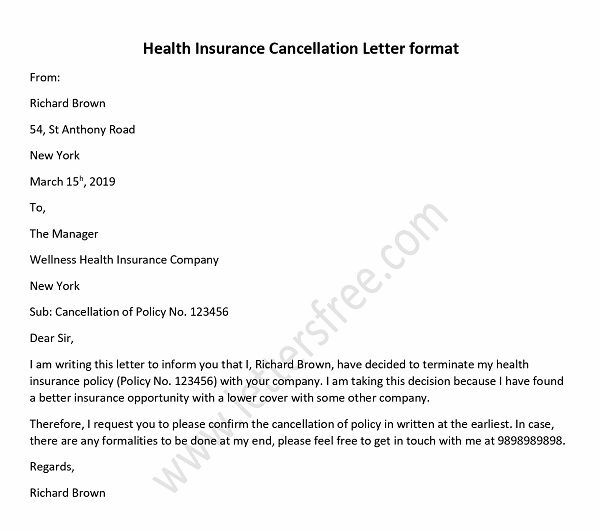 If you plan to cancel your business insurance policy then you have to send a policy cancellation letter to the insurance company. 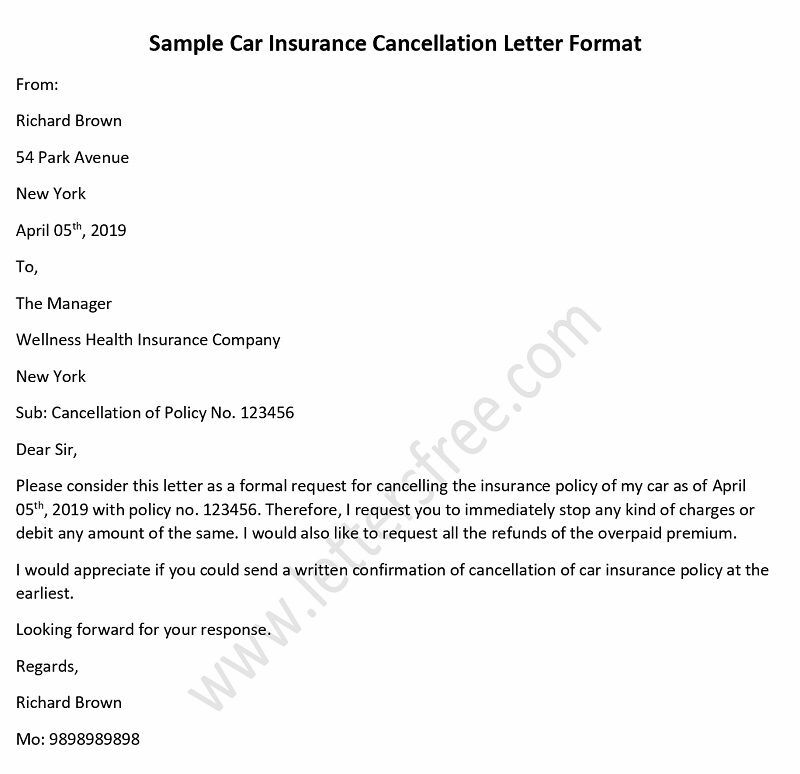 Whatever may be the reason, letter to cancel business insurance policy has to be drafted properly in order to inform the insurance company in a formal way. 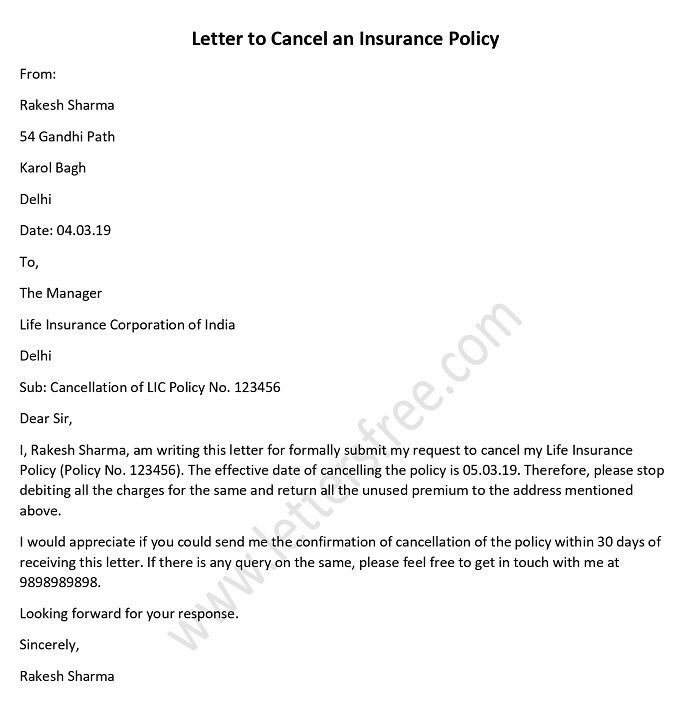 Here is the sample insurance cancellation letter given for your reference. 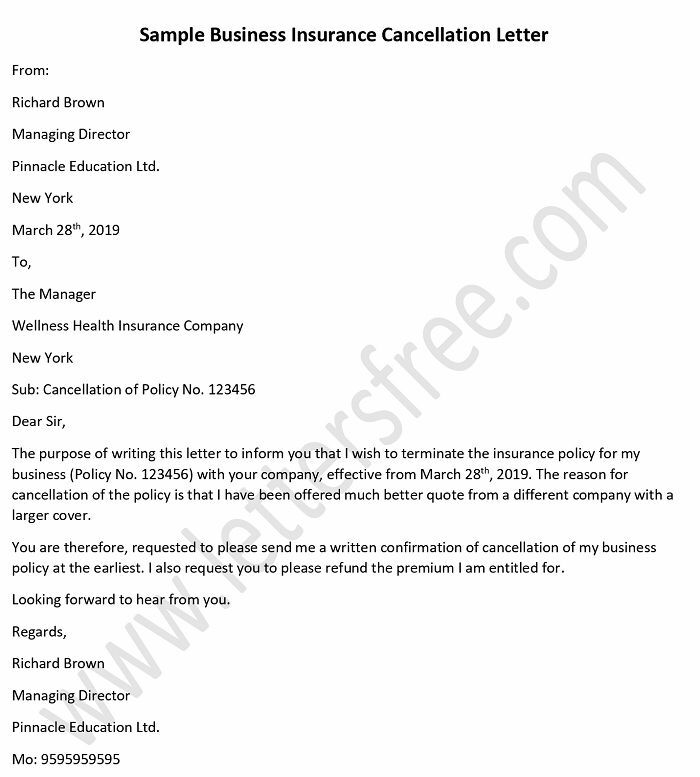 Use this sample business insurance cancellation letter format to create your own. It has to be short and to the point. Include the reason for cancellation of policy. Don’t forget to ask for the refund. Also include your contact details. The purpose of writing this letter to inform you that I wish to terminate the insurance policy for my business (Policy No. 123456) with your company, effective from March 28th, 2019. The reason for cancellation of the policy is that I have been offered much better quote from a different company with a larger cover. You are therefore, requested to please send me a written confirmation of cancellation of my business policy at the earliest. I also request you to please refund the premium I am entitled for.